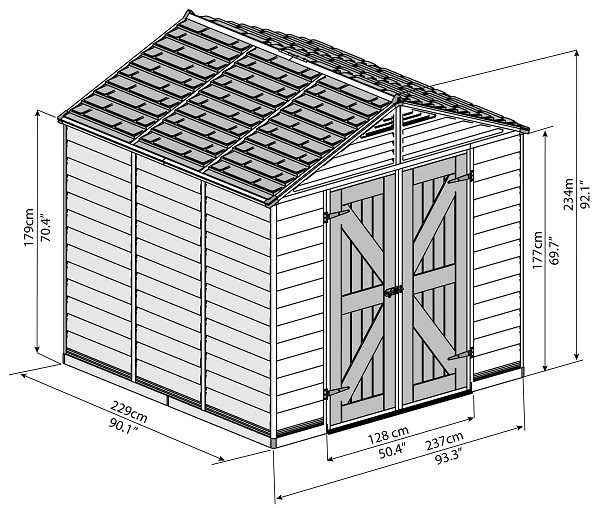 Ease is the name of the game with the Palram SkyLight 8 x8 Storage Shed. 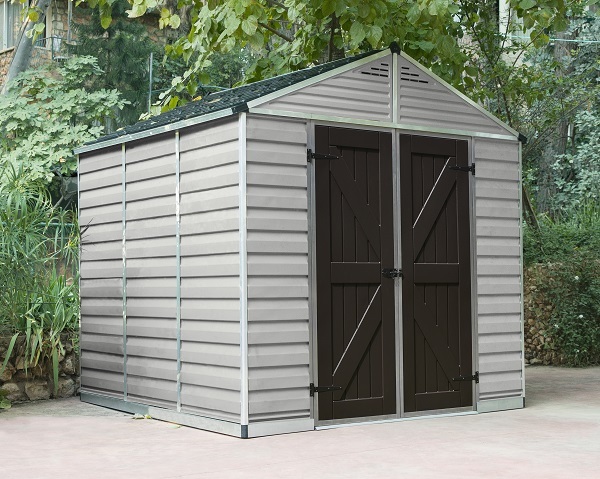 This easy-to-assemble shed features a maintenance-free aluminum frame, connected anti-slip floor, and virtually unbreakable polycarbonate panels. It is also UV protected and impact and hail resistant. 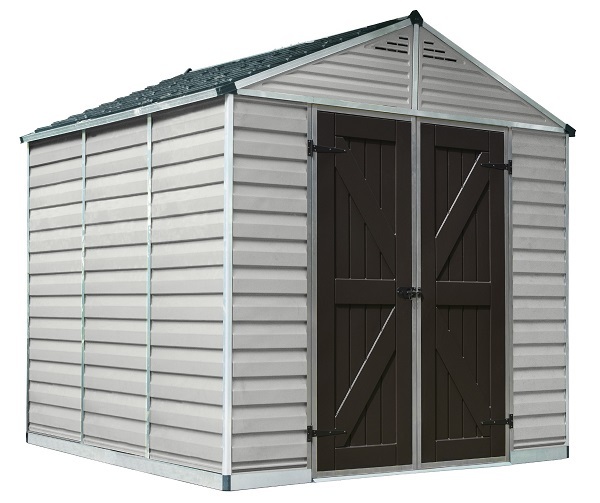 With 338 cubic feet of storage space and 10% light transmission through the skylight roof, this is a spacious, reliable, and practical shed for all your storage needs. Anchor it to your concrete patio or wooden deck and enjoy!